A-list ladies are embracing the bright color trend this summer! Whether you want to add a pop of color on the eyes or the lips, take a look at these vibrant celebrity makeup looks to rock during the sunny season. 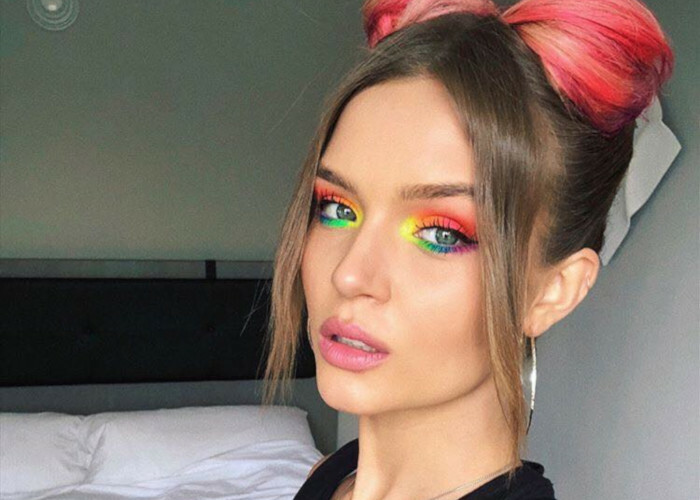 Victoria’s Secret model Josephine Skriver put a rainbow on her eyelids in honor of the pride month. This magnificent blend of colors is so pretty that could easily turn into a summer trend.